How many people know there is an alternative to the standard desk chair that we have all grown accustomed to? Chances are you spend a lot of time in that chair, so it makes sense that you would want to find a alternative that would help you avoid those back problems that seem to be associated with office chairs. 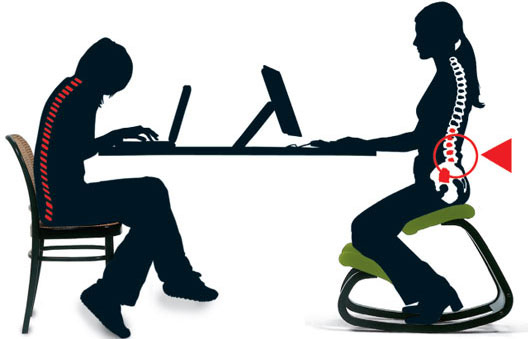 Constant sitting can cause stress on the spine that often leads to joint and muscle stress, and eventually pain. how to sit in a kneeling chair? Kneeling chairs have you seated so your shins are lying on a pad to give you more room for your hips and hip flexors. There are many kneeling chair benefits including less back pain, better posture, and better work performance. When you develop back issues, the frequent pain can be life altering, and the pain can take over your life costing you lots of money in doctor’s bills, medications, and rounds of physical therapy. 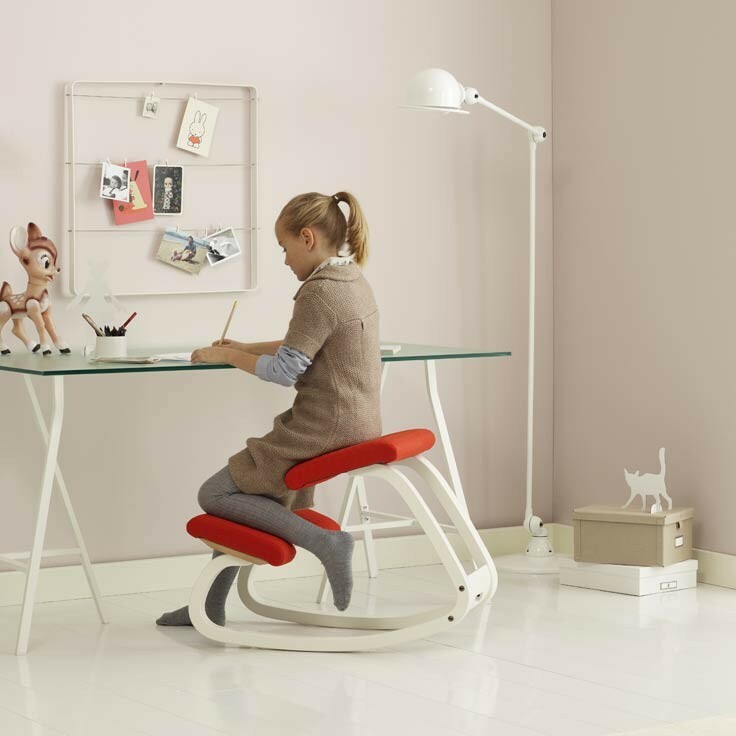 There are alternatives to the standard, boring office chairs that are healthier for your body. The kneeling stool is an awesome example of ergonomics in an affordable solution. With a kneeling stool, you’ll be seated at an angle, while your shins rest on a pad. This provides more space for your hips. With a traditional seat, over time these muscles start to diminish and compress since these muscles are connected straight to your lower back. The right ergonomics can help you adjust a spine injury and stop it from ever happening. It is important to sit with a straight spine, not just staying still, so your desk should be set up on certain ergonomic principles which can be otherwise difficult to maintain during the work day as they are easy to forget when you are engrossed in your work. Kneeling chairs are ergonomically designed to automatically force you to sit with a straight spine and a neutral posture, so you don’t even need to think about how you are sitting. There is no back support with a kneeling chair, so you are motivated to sit with your spine aligned without having to make a lot of effort. The increased angle between your lower body and your torso provides your pelvic muscle tissues that connect to your lower back with more space which helps if you have back issues in the lumbar region. As we have already mentioned, kneeling chairs are a quick way to get rid of back pain. Your hips have more room with the decline of the seat. These muscles connect directly to your lower back, so you will notice relief immediately that lets your hip muscles and spine expand instead of tightening. The kneeling chair allows people to sit for long periods of time and not feel pain in their back or any fatigue. When your upper-body sits in vertical, ergonomic alignment, your body will be forced to sit with a posture that needs a minimal amount of effort to hold. Without a backrest, your vertebrae will stack on top of one another and the surrounding muscles will need little effort to keep your body straight allowing you to sit longer without a backache. When you have a properly aligned spine, sitting down really takes very little effort, and once your body becomes used to sitting with an upright spine, you will be walking tall all day long with good posture. Improving your posture when you are sitting will help you with other activities like standing, walking, and jogging. The angle of the kneeling chair will force you to sit with a straight spinal column, so the supporting muscles in your back no longer have to work hard to keep you upright. Like a stack of blocks, if they aren’t stacked perfectly on top of one another, it is going to require some outside force to hold them together. In the case of your spine, that force is the surrounding muscles which inevitably causes back pain. People that use the kneeling chair describe less pain and more comfort in the upper and lower back areas. When we sit down, we display the worst posture by slouching and reclining in our seats instead of sitting up straight. Since about ¾ of the time we are awake we spend in a seated position, this is doing a lot of damage to our backs. Imagine if you were spending ¾ of your day with perfect posture, you would not only walk around taller, but you will also feel more confident. Even though your first thought is that a kneeling chair looks awkward and uncomfortable, it is actually a very comfortable way to sit. 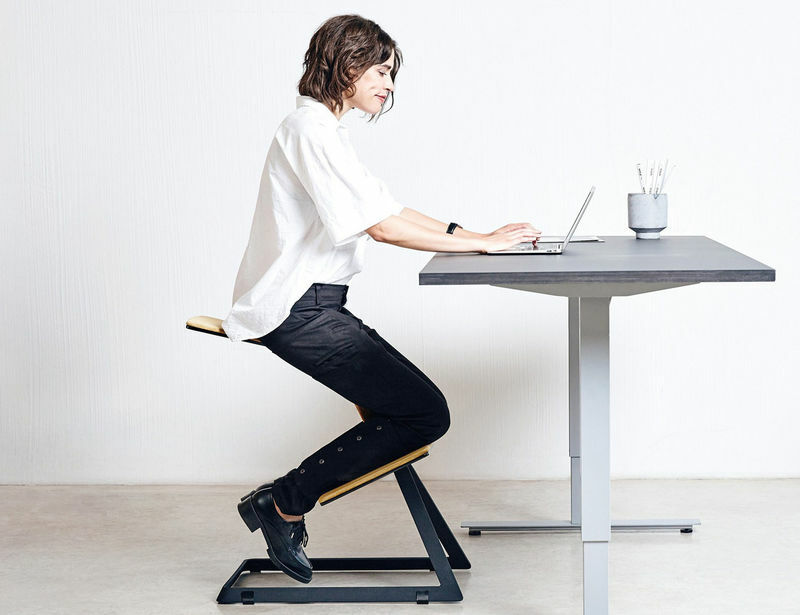 You aren’t hunched over a desk and the design of the chair isn’t pulling your forward. The design and position of the knee pad also allow you to move easily, and you can even try several different positions to increase your comfort. Kneeling chairs are very comfortable and higher quality kneeling chairs are sometimes made with memory foam padding or something similar. This is a nice feature as your weight is dispersed between your shins instead of your buttocks supporting all of your weight. This is a big change for those that are used to spending a lot of time in front of the computer. This also explains why you don’t have as much pain, core muscle support doesn’t use any noticeable exertion, they just continue to develop and get stronger with time. Studies have shown that one of the biggest distractions at work is pain. It’s hard to focus on your work when you aren’t comfortable. You’ll notice that improved blood flow through your body gives your brain more oxygen and nutrients that will help you to think sharper, feel better, and not have to focus on pain. Kneeling chairs come with a variety of features, designs, and materials and they have become a very popular ergonomic solution from people who suffer from back pains. If you are wondering how to sit in a kneeling chair, it does take a little adjustment but the kneeling chair benefits are totally worth making the change.